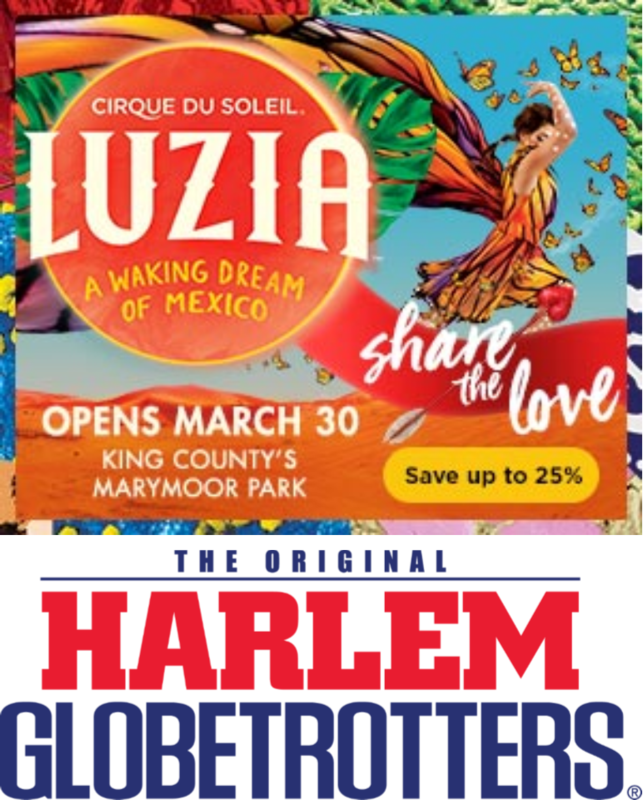 Cirque du Soileil LUZIA –This Valentine’s Day, what better way to share the love than to offer tickets to LUZIA by Cirque du Soleil, where employees can save up to 25% on tickets! Act fast, this offer ends on February 14. LUZIA opens March 30, under the Big Top, at King County’s Marymoor Park. The Harlem Globetrotters are coming to Key Arena on February 18. Tickets can be purchased for either the 2 p.m. or 7 p.m. Show. Purchase online at the the Key Arena events website, using promo code HGGROUP. Find all discounts on the Employee Discount webpage.